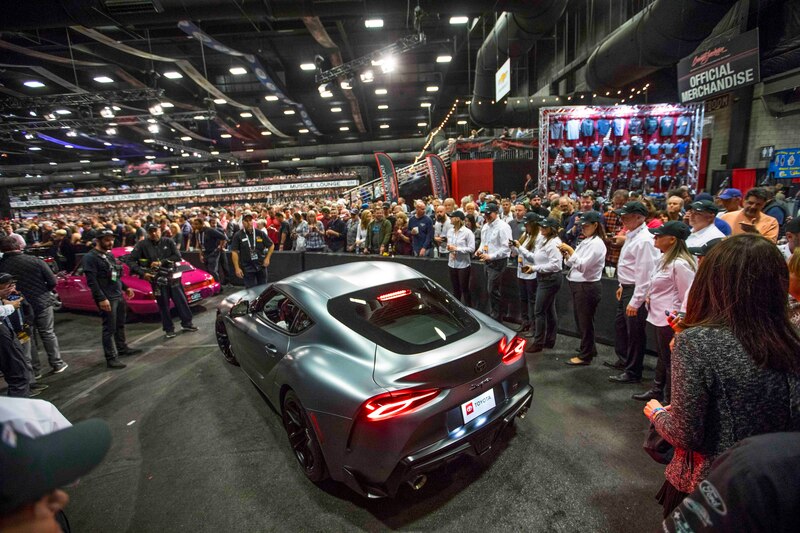 A hefty premium, but all the money is going to charity. 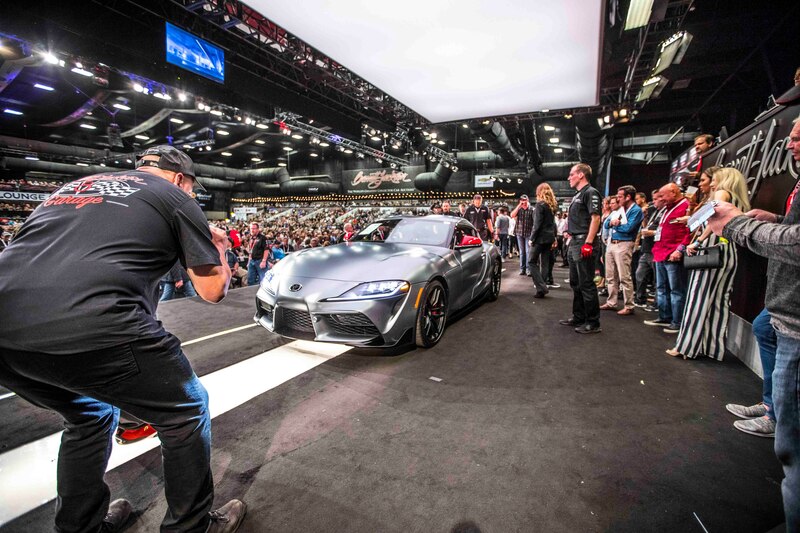 How much would you pay to own the world’s first production 2020 Toyota Supra? 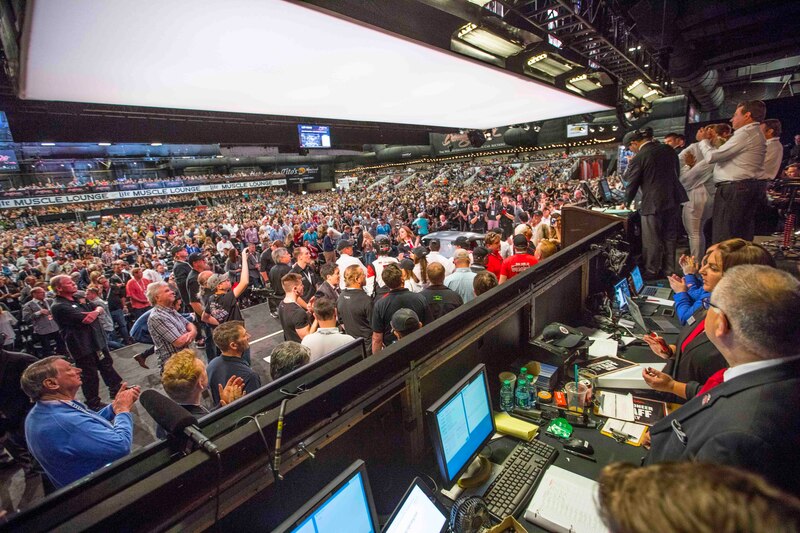 Before you say anything, know that someone at today’s Barrett-Jackson Scottsdale auction topped your number by probably quite a bit. 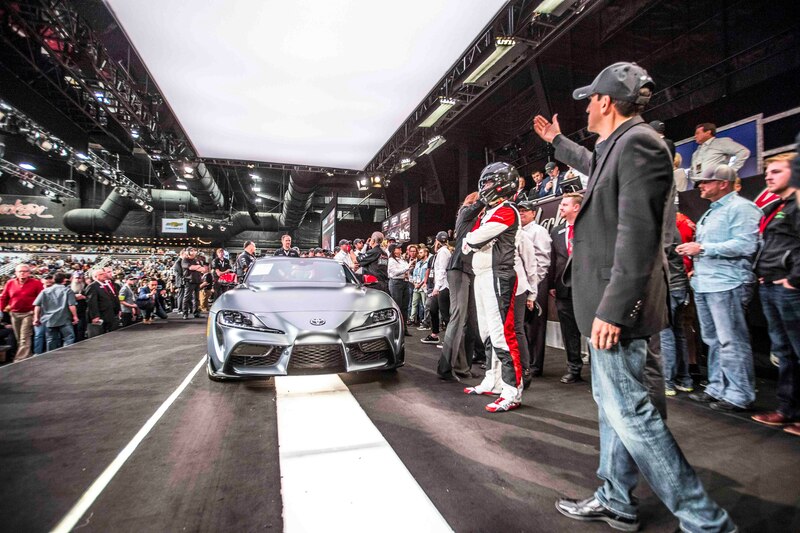 That’s because they just bought Supra VIN 20201 for a cool $2.1 million. 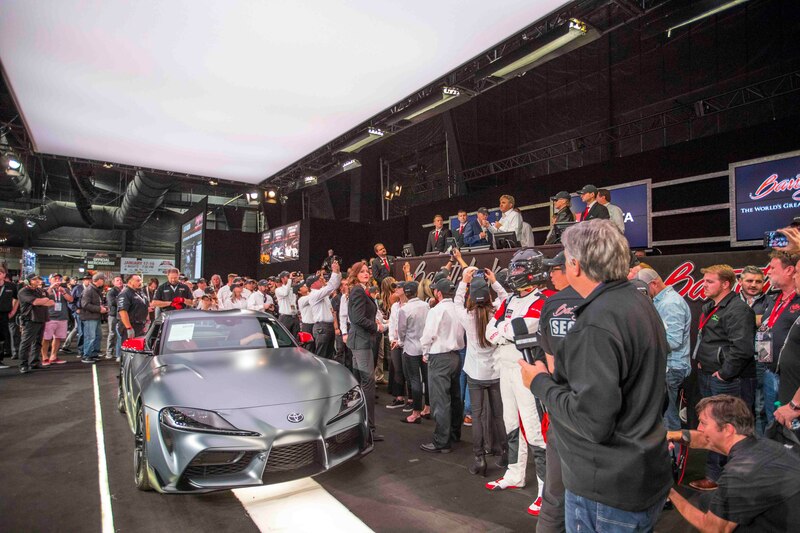 That might seem like an excessive premium on a car that will have a base MSRP of $50,920, but beyond the cool factor of owning the first example, the entire bid will benefit the American Heart Association and the Bob Woodruff Foundation. 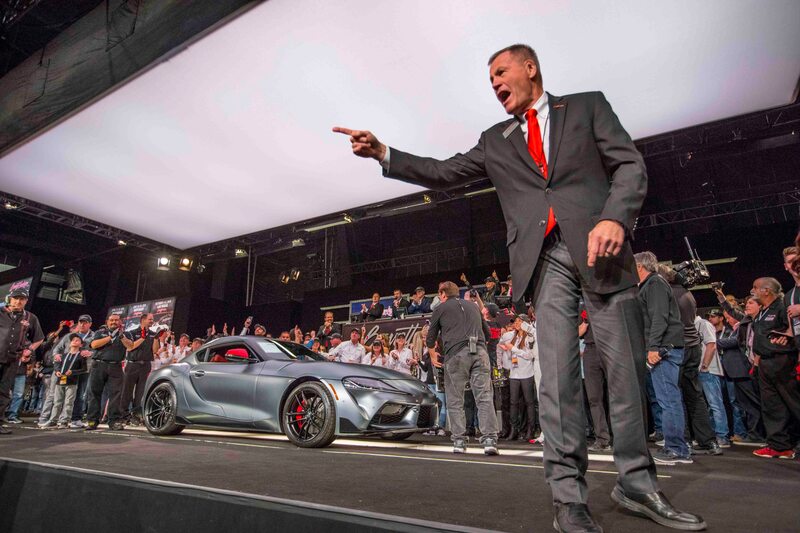 The Supra has also been signed by Toyota CEO Akio Toyoda—a neat extra. 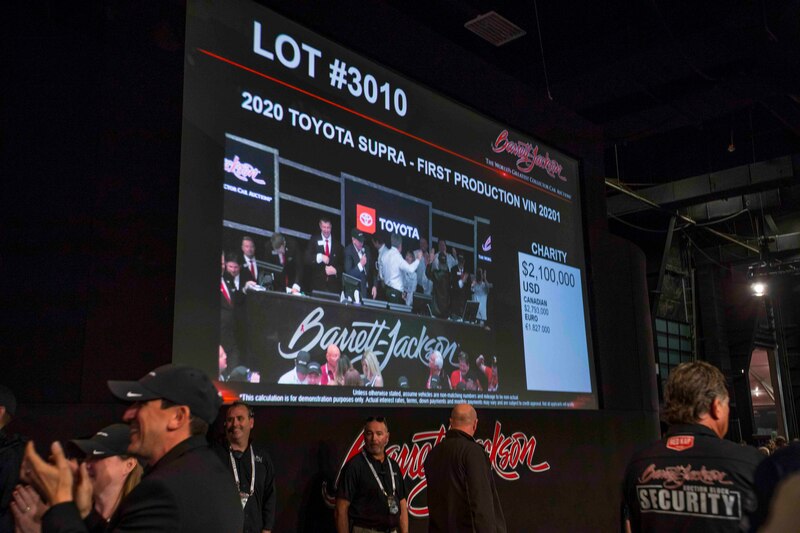 Bids for the Supra came fast and furious, steadily building in $100,000 increments to surpass $1 million, and then moving ever higher to the final $2.1 million bid. 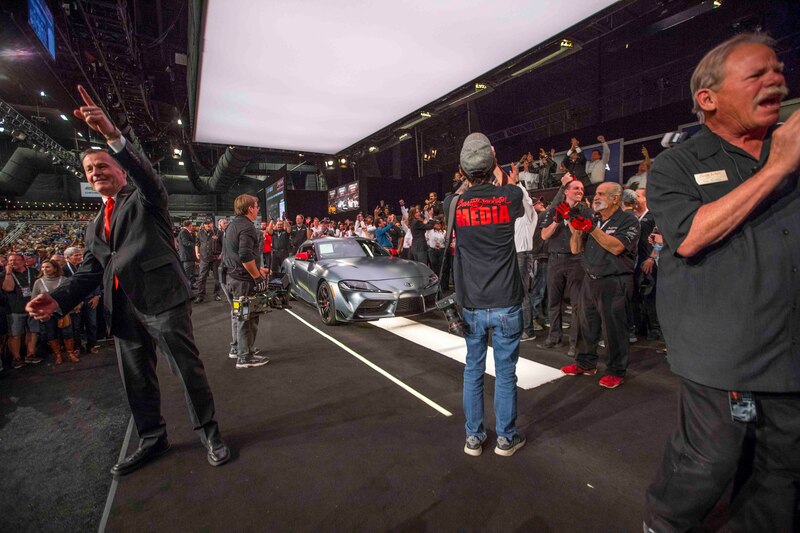 The Supra was flanked on stage by dozens of Toyota employees and the auction crowd responded excitedly as bids climbed with deafening cheers. 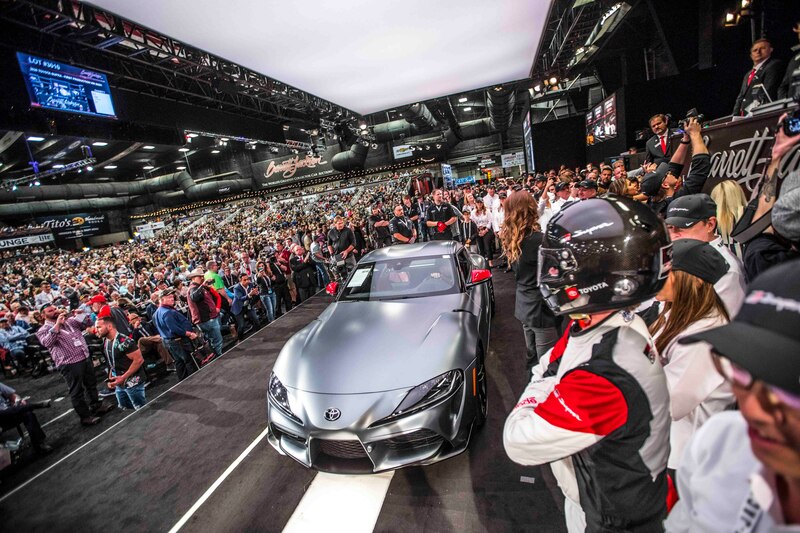 The first 2020 Toyota Supra is painted in a one-off color scheme of matte-gray exterior paint over a red interior, with red mirror caps and matte-black wheels. 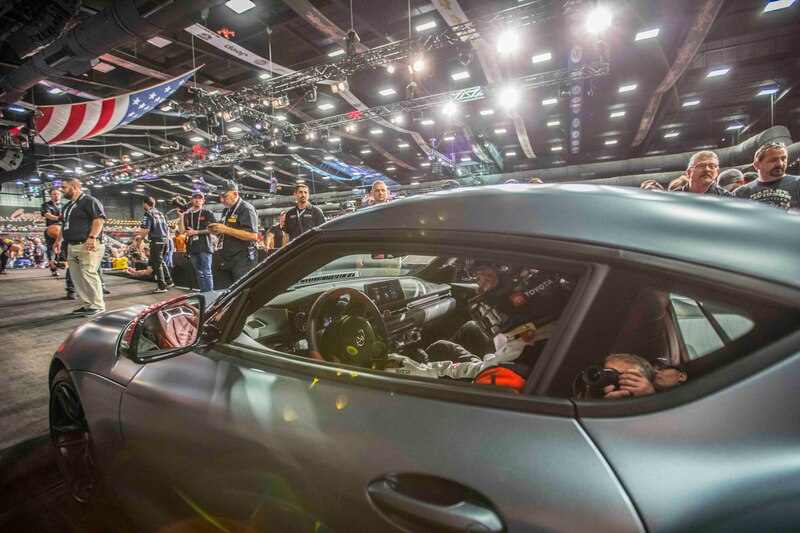 Under the hood is a 3.0-liter twin-turbocharged inline six-cylinder engine, with 335 horsepower and 365 lb-ft of torque. 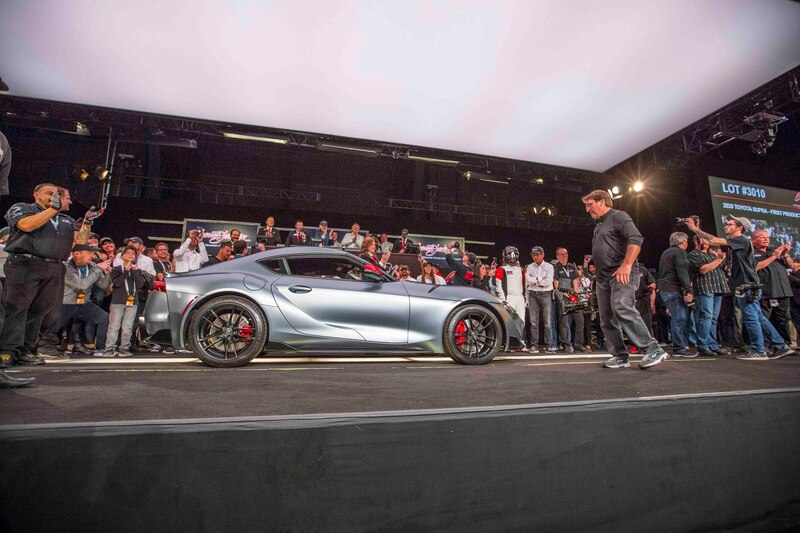 The zero-to-60-mph sprint is said to take just 4.1 seconds and a flat foot will see the car accelerate until it reaches an electronically limited 155 mph. 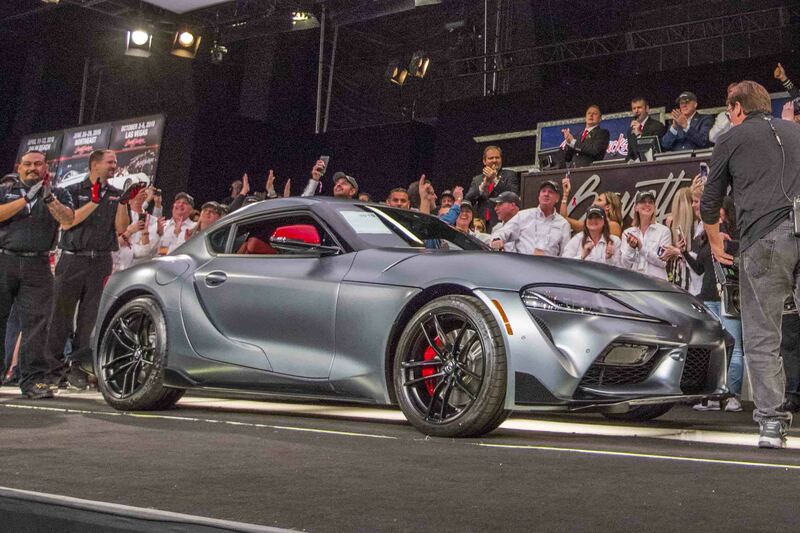 Toyota will sell 1,500 Launch Edition Supras in the U.S. that will have the red mirror caps and matte-black wheels of the auction car, but not its matte-gray paint. 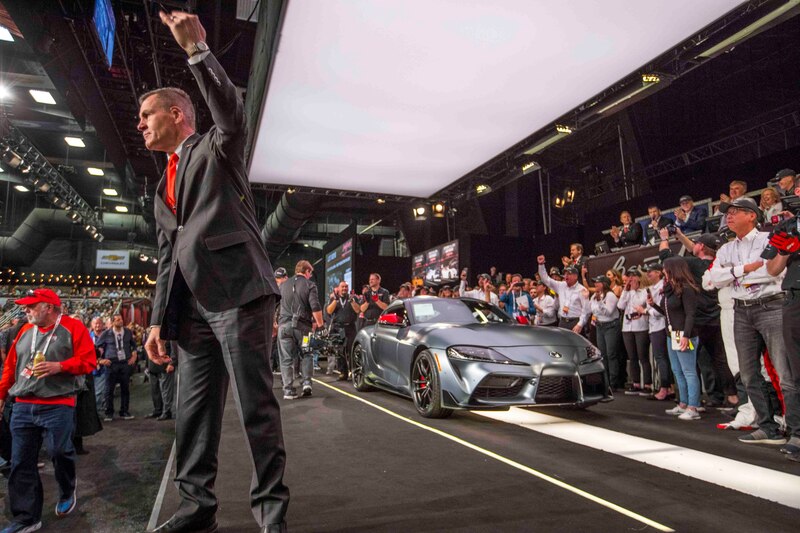 They’ll also get a reproduction of CEO Toyoda’s signature on the dash instead of the real thing. 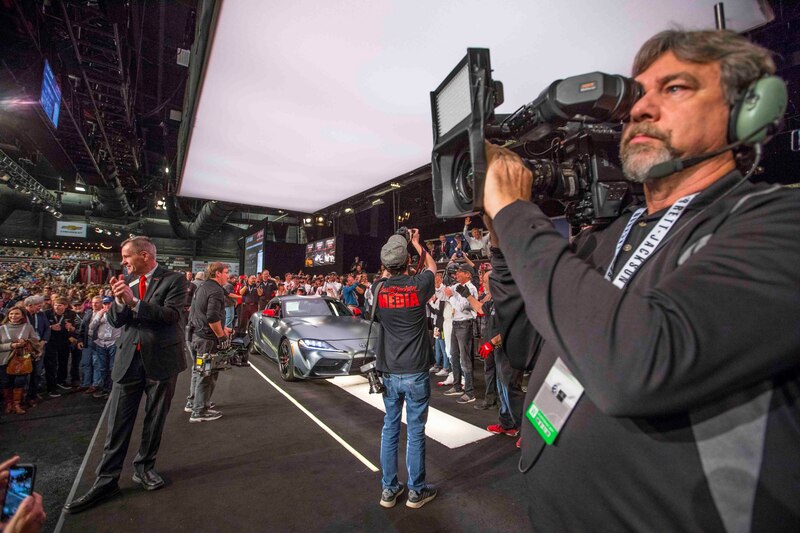 Regular 3.0 and Premium 3.0 trim levels will also be available when the car arrives in showrooms this year.